With Christmas now over, there are probably some bizarre gifts still lingering under many a half-dead tree. But chia pets, self-help books and nose hair clippers don’t compare to some of the more exotic gifts given to royalty throughout history. The following are some of my favorite. 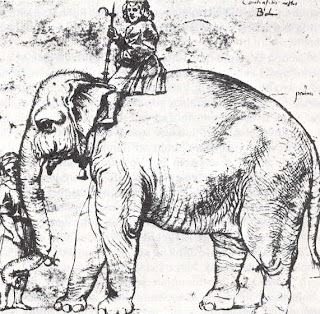 King Manuel I of Portugal went for the big box when he gave Pope Leo X, a rare white elephant named Hanno. Leo fell in love with his large gift and used his new pet to lead ostentatious parades through the streets of Rome with a silver tower on his back. For years Hanno reciprocated the Pope’s love and would cry “bar bar bar” every time he saw Leo. Unfortunately, Leo may have loved his pet pachyderm a little too much. The gold-enriched laxatives fed to Hanno were a little too rich for even an elephant’s stomach. Hanno dropped dead after one of these royal treatments. At the wedding of Catherine de Medici, Pope Clement VII gave King Francis I, a unicorn horn mounted in a solid gold pedestal. These slightly phallic edifices were not intended to match the furniture, but were instead valued for their medicinal qualities. 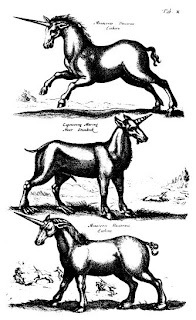 A unicorn or “alicorn” horn would supposedly sweat in the presence of poison. Unfortunately, the mythical horns were actually rhino and narwhal horns and often cost about as much as a small estate. Having an animal carcass arrive on your doorstep may seem like a less than romantic gift but to 16th century princes it was a most tender gesture of love. Henry VIII may have wooed Anne Boleyn with love letters and jewelry, but it was the freshly killed stag that really made her go….awwwww ain’t that sweet. Every proud papa likes to give gifts to his daughter on her wedding. King Philip IV was no different when he bestowed several priceless jewels on his daughter Isabella after her marriage ceremony to Edward II. Unfortunately, Edward immediately re-gifted Isabella’s jewels and sent them to his royal mistress. This re-gifting might not have been so insulting if it were not for the fact that Edward’s girlfriend was none other than the pretty boy, Piers Gaveston. Most people would have agreed that Isabella looked better in pearls. History tells us that even exotic gifts can be re-gifted. Such was the case with the Turkish corsair and chief pirate of the Ottoman empire, Barabarossa who gave King Francis a rare Nubian lion. In theory, a pet lion may seem like the perfect gift to impress a king, until you have to feed the beast. Francis certainly came to this conclusion when the perpetually hungry lion started eyeing the monkeys, reptiles and exotic birds in the rest of the king’s royal menagerie. Thus, Francis gave the big cat to the cousin of Pope Clement VII, Ippolito de Medici who fell in love with his new pet. The wife of Louis XV, Maria Leszczynska, received an expensive New Year’s gift – an enamel and gold snuffbox with a small watch on the lid. Unfortunately for Maria, the gift was intended for Louise Madeline de la Motte, the mother of Louis’ famed mistress Madame Pompadour. Fortunately for Maria, Louise had just died and no one wanted to waste the gift. Bedini, Silvio. The Pope's Elephant. Austin, Texas: Harry Ransom Humanities Research Center, 1997. Knecht, R.J. Francis I, New York, NY : Cambridge University Press, 1984. Weir, Alison. Queen Isabella. New York, NY: Ballantine Books, 2005. Ives, Eric. Anne Boleyn. New York, NY : Blackwell, 1988. Lever, Evelyne. Madame de Pompadour : a life. New York, NY : Farrar, Straus and Giroux, 2002. Thanks for another briliant post! Ms. Lucy - so true and exotic animals were treated so poorly. That unfortunate elephant must have died a horrible death drinking gold. TammiMagee and Eduarda - thanks for stopping by. May I share with you the title of my children's book - about one Royal gift? 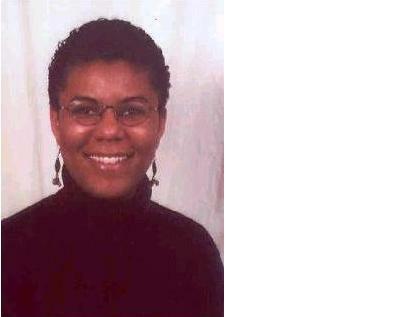 It's "Martha Ann's Quilt for Queen Victoria" - the true story of a young black girl who wants to thank the queen of England in person - pursues her dream for 50 years! I'm still trying to locate the real quilt - hope Victoria didn't re-gift it!